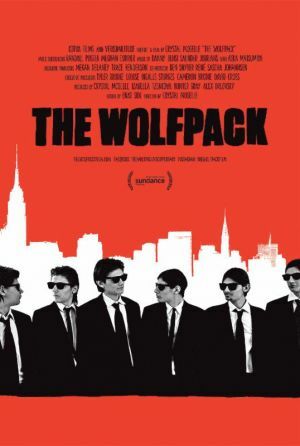 "The Wolfpack" Cert 15 - A true story. Locked away from society in an apartment on the Lower East Side of Manhattan, the Angulo brothers learn about the outside world through the films that they watch. Nicknamed, 'The Wolfpack,' the brothers spend their childhood re-enacting their favourite films using elaborate homemade props and costumes. Their world is shaken up when one of the brothers decides to revisit the outside world and everything changes. Husthwaite Film Club meets the third Thursday of the month at 7.30pm, Bar open from 7.00pm. Annual membership only £15 (part year membership available) or £3 per sceening. We aim to show a wide range of film genre's from Mainstream to Independants and Documentaries. Our special screenings include our annual "Shorts" Festival in June, "Bond" November and our Cocktail Christmas special where we match Movie with themed Cocktail! For more information contact Sheila on 01347 868196 or sheila_mowatt@btinternet.com.